As we have discussed time and again, insurers are always looking for reasons to deny coverage. Particularly where a procedure could possibly be defined as “cosmetic,” insurers will refuse coverage if they can find any justification to do so. But even so-called cosmetic issues can be disabling and disfiguring, and California law does not allow insurers to issue blanket denials for treatments that are necessary to restore patients to what they consider their normal appearance and functioning. The Los Angeles insurance bad faith attorneys at Gianelli & Morris are on the ground floor of the fight to ensure that patients who suffer from excess skin following bariatric weight loss surgery are covered for the reconstructive surgery necessary to fix their condition. Read on for details about how insurers treat excess skin removal surgery following bariatric weight loss treatment. Bariatric surgery is a catchall term for weight-loss surgeries aimed at helping morbidly obese patients shed excess pounds in order to attain a normal, livable body fat percentage and ward off life-threatening illnesses such as diabetes, cancer, heart disease and stroke. These surgeries, such as gastric bypass or “stomach stapling,” can alter patients’ appetites, their ability to absorb nutrients, or otherwise affect their digestive system, and are meant only for serious cases of obesity. Patients who are morbidly obese can weigh up to 300, 400, or even 700 pounds as a result of a variety of medical issues. Carrying that much body fat leads to a number of health issues including severe heart disease, diabetes, high blood pressure, and sleep apnea. Many patients who have reached that level of obesity are simply unable to attain a healthy body weight through simple diet and exercise. Bariatric surgery is a necessity for these patients, and it can lead to life-changing improvements in their overall health, beyond merely their appearance. 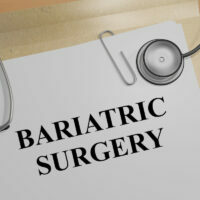 Patients can lose hundreds of pounds through bariatric surgery, but this leads to other issues. Patients are typically left with pounds of excess skin that had stretched while they carried the extra weight. The excess skin can restrict movement for patients, cause the formation of painful sores, and can overall prevent their enjoyment of life for both functional and appearance-based reasons. Why Do Insurance Companies Deny Coverage for Excess Skin Removal? Patients who retain pounds of extra skin following bariatric surgeries can obtain reconstructive surgery to remove the excess skin to restore their functionality. Such surgeries can cost upwards of $25,000, so insurance coverage is a necessity for most patients to afford the surgery. Insurance companies, unfortunately, often refuse to view skin removal as medically necessary. Instead, many insurers have blanket policies that treat excess skin removal as merely “cosmetic” procedures that do not qualify for coverage. These policies do not account for the functional limitations caused by carrying dozens of pounds of excess skin, or that California law requires coverage for some reconstructive surgeries if they are necessary to restore a person to a normal appearance, such as skin grafts for burn victims. Even appearance-based reasons are not “merely cosmetic” in many cases, but beyond that, excess skin can cause actual disabling limitations. The Obesity Society estimates that one-third of all patients of bariatric surgeries suffer from health problems that must be resolved by removing the excess skin. Courts have recognized that insurers should not be permitted to uniformly deny coverage for excess skin removal following bariatric weight loss surgery. In a case brought by our firm, a California state judge previously ruled that Kaiser Permanente was not permitted to categorize all skin removal surgeries as cosmetic and therefore unworthy of coverage. After a lengthy trial in a massive, 10,000 person class action, the court held that Kaiser must instead defer to doctors who could decide on a case-by-case basis whether patients qualified for a referral to a plastic surgeon. The court ruled that California’s Health & Safety Code requires that reconstructive surgery must be covered by an insurer if it will help restore a patient’s normal appearance, even if the surgery is not strictly necessary to correct any functional problem suffered by the patient. If you believe you were wrongly denied insurance coverage for excess skin removal following bariatric surgery or other unfairly-labeled “cosmetic” treatments following injury or illness, please contact the California insurance law attorneys at Gianelli & Morris in Los Angeles. We’ve fought for policyholder rights in California since 1979, and we can help you obtain the benefits you need to make the most complete recovery possible.